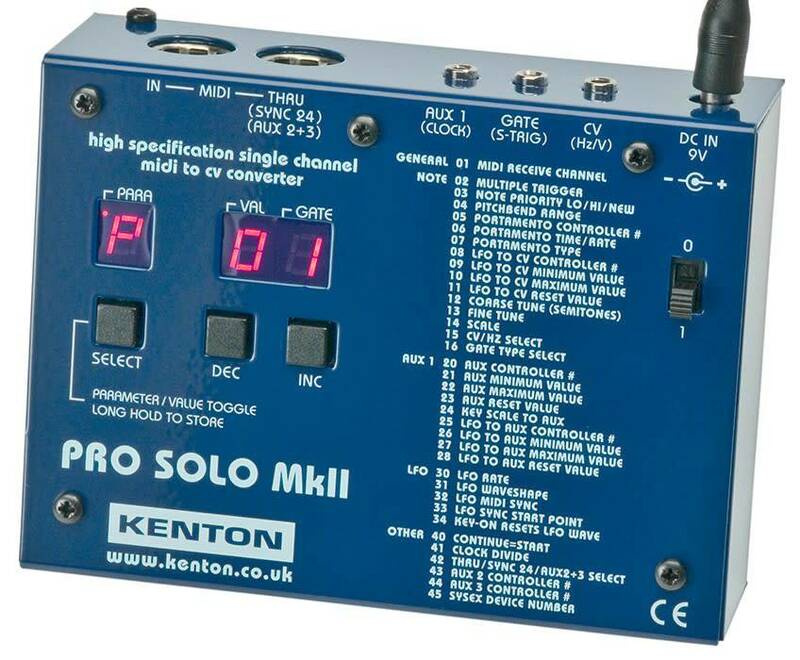 The PRO-SOLO Mk2 converts MIDI data into CV- gate and clock signals. The operation is easy and clear, settings can be saved in non-volatile memory. 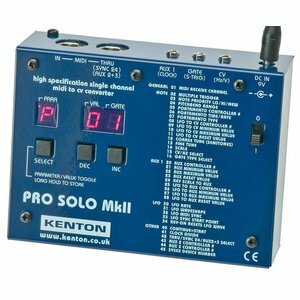 High-resolution 16-Bit converters provide accurate tracking and fast response. 1V/oct and Hz/V characteristics are possible as well as normal gate and Switched Trigger (S-Trig). The unit features two CV- and one gate output, additionally there´s a analog clock output. 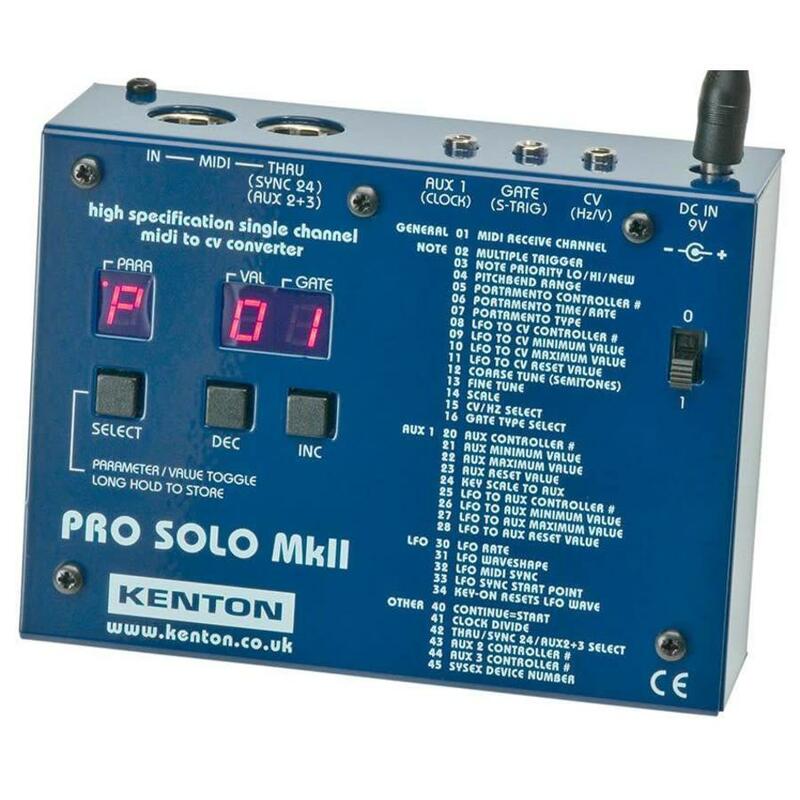 MIDI thru socket can also be used as DIN-Sync output or it can output two additional voltages with a special cable. MIDI synched LFO.